Not only are they the same colour as the pair of ‘come hither eyes’ that get flashed at you from Saucy Sarah, serving you up your Haddock and chips at the Sawston fish shop…no…they are also super productive and will produce you buckets and buckets of flowers from just two or three square metres of ground. 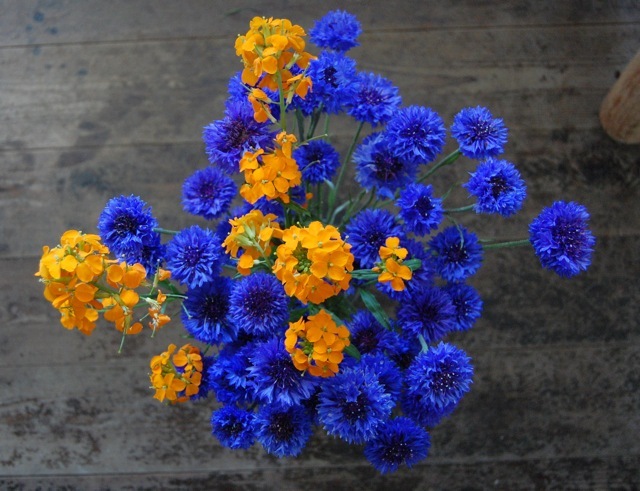 Combine this with the fact that you can make Autumn sowings for a spring flowering and successive sowings for flowers to take you up to Guy Fawkes night and you will realise that blue cornflowers are something you may not wish to be without. These annual flowers are subtle, slender and charming and you will find them of immense use as a cut flower. Personally I love them with oranges…not the fruit obviously…that would be daft…but orange flowers. 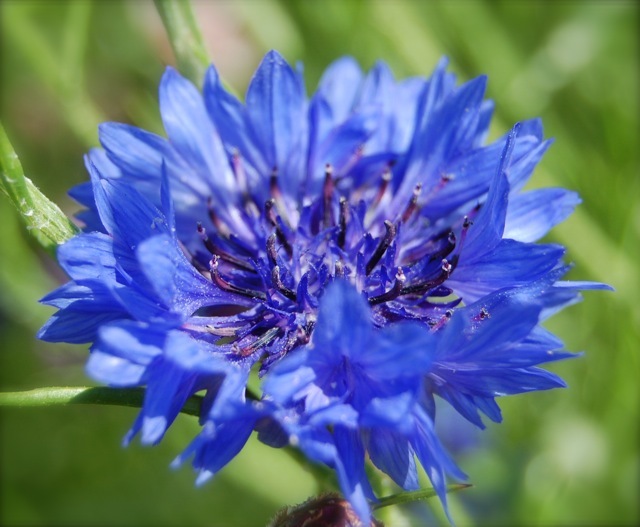 How to grow blue cornflowers from seed. *Rake the soil down to a fine tilth. *I make an September sowing and then a spring sowing…not sowing outside until mid April when the soil has warmed up. Though many folk sow in March and have no problems. *sow the seeds thinly. A pack of Higgledy Garden seeds should EASILY be enough to cover ten meters of a single row without any bother. Don’t do as I did on my first attempt many moons ago to use a whole packet of seeds in about three feet. Silly man. *In three weeks you will see the little munchkins wiggling their way up out of the ground…thin them to about a foot apart. If you are careful you can move the seedlings if you don’t disturb the roots too much. If they are bigger than three inches they won’t like to be moved…so compost them. *I put some pea netting up at a height of about two foot and let the plants grow through it. That way they get support, high winds can flatten a bed in no time. *An autumn sowing will provide you with much earlier…and MUCH bigger plants…spring ones however will provide you with flowers much later into the season of course. ‘Bells of Ireland’, Molucella Laevis, From Seed. Grow Godetia From Seed. 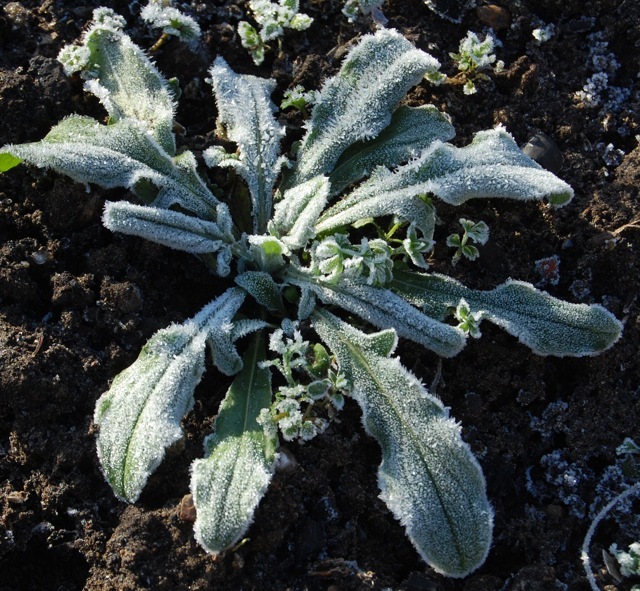 Will it be too late to sow in early December? I love corn flowers but wont be able to do it until at the earliest late November….